WinPE (Windows PreInstallation Environment) 的功能就像是 Linux 的 Live CD 一樣, 透過這 WinPE 開機,我們不需要安裝作業系統到電腦上我們可以透過他做一些簡單的功能,不過 WinPE 通常是當作 Windows 的安裝前導環境,除了燒成光碟來使用外我們還可以將他搭配 Windows WDS 一同使用,直接使用網路開機並將電腦直接開啟至 WinPE 的作業環境,這 WinPE + WDS 的概念其實跟 Linux 下的 PXE Boot (DHCP + TFTP) http://benjr.tw/83 類似. 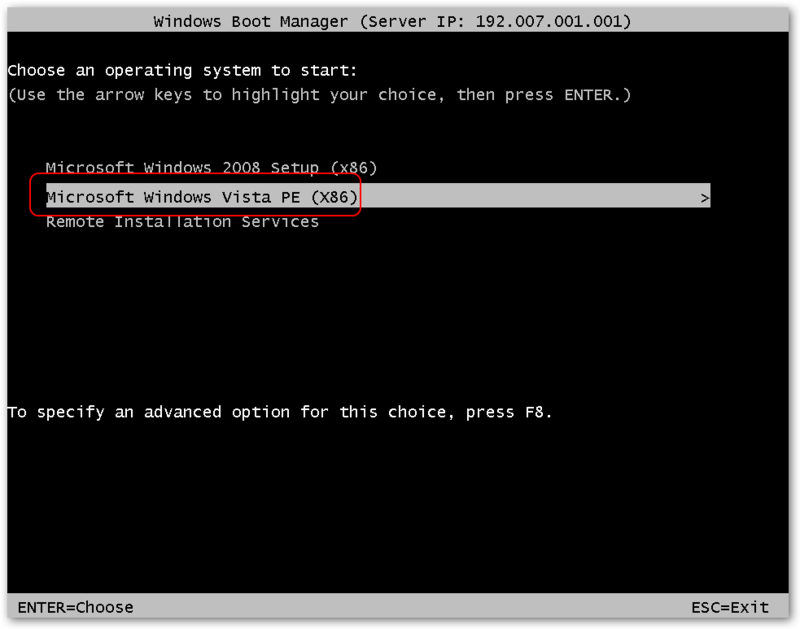 一台具有 PXE (Preboot eXecution Environment) 網路開機功能的機台. 之前 WinXP 所產生的 WinPE 可以透過 Linux 下的 PXE 來開啟,請自行參考說明 http://benjr.tw/275 新版的還是需要搭配 WDS. 新的 WinPE 包在 Windows ADK (Assessment and Deployment Kit) ,可以在 https://docs.microsoft.com/zh-tw/windows-hardware/get-started/adk-install#winADK 下載適合的版本,詳細方式請參考 – http://benjr.tw/170 . 下載後就可以開始我們的工作了.目前可以下載到的是 Automated Installation Kit (AIK) for Windows Vista SP1 and Windows Server 2008 和 Windows® AIK for Windows® 7 ,下載下來是個 ISO 檔,不需要燒錄成光碟我們可以透過 winimage – http://www.winimage.com/download.htm 這一隻工具將他解開,解開後在根目錄下執行 STARTCD.EXE 並點選 “Windows AIK 安裝程式(W)” 開始安裝 WinPE 的工具. 2010/12/01  上午 10:17    <DIR>          . 2010/12/01  上午 10:17    <DIR>          ..
其中的 winpe.wim 就是 winPE 的檔案 ,其實 WAIK 用 winimage 解開後在根目錄下有一個檔案 WINPE.CAB 一樣用 winimage 解開後會得到 2 個文件：F1_WINPE.WIM 和 F3_WINPE.WIM. 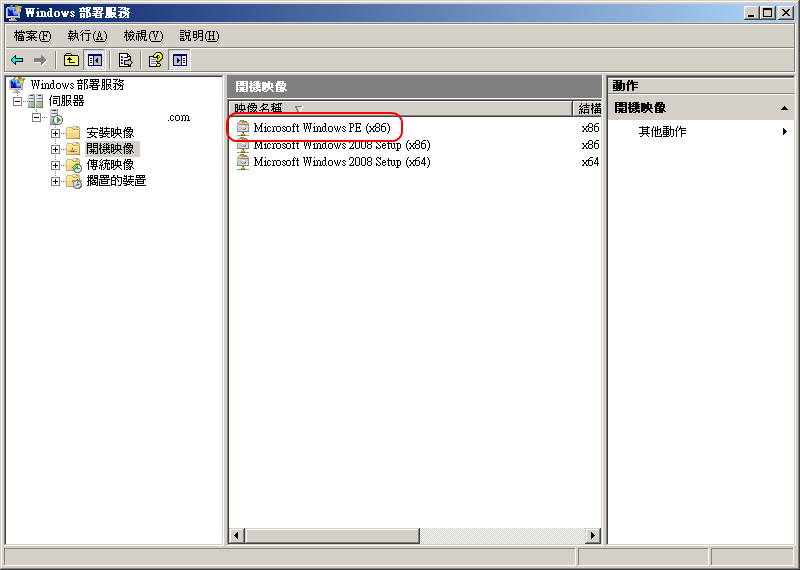 F1_WINPE.WIM 是 32bit 的 winpe.iso 而 F3_WINPE.WIM 是 x86-64 版本,其實在前面安裝 Windows AIK 時已經將這兩個檔案放置 C:\Program Files\Windows AIK\Tools\PETools\ x86 或是 amd64 目錄下. 雖然前面所產生的 winpe.wim 基本已經包裝了不少驅動程式,但是如果我需要新版的驅動程式或是 winPE 並不支援的驅動程式該怎麼辦,我們可以手動加入. 下面所使用的 PEimg, Intlcfg, ImageX 等..現在都由 DISM 指令所取代了 (需使用新的 Windows ADK – Assessment and Deployment Kit). Copyright (C) Microsoft Corp. 1981-2005. All rights reserved. 這邊我加入了 Broadcom Netxtreme Gigabit Ethernet 5722 的驅動程式,雖然指令只指定該驅動程式的 inf 檔,但其他的檔案 (b57nd60x.sys ,b57nd60x.cat) 還是必須要存在 . 最後還需要再次透過 指令 MakeWinPEMedia 建立新的 WinPE iso 檔. 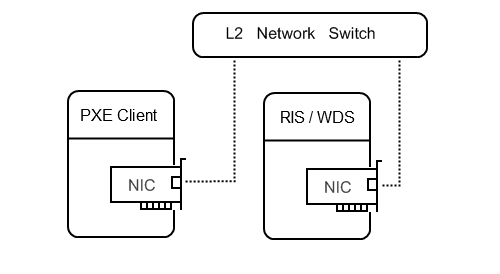 新的 ISO 檔無法直接放回到 RIS / WDS ,只接受 .wim ,檔案位於 ISO – \\SIO\Sources\winpe.wim . 這邊使用 WinPE + RIS / WDS 的無磁碟 Windows 工作環境,其中 RIS / WDS 需要建立以下的 Windows Service (AD, DNS, DHCP, RIS / WDS) 關於 Windows 的 AD , DNS , DHCP , RIS / WDS 在 windows 的官方網站皆有說明,這邊就不加以敘述. 將剛剛得到的 winpe.wim 檔案就可以把他加入到 WDS 或是 RIS 裡面.Client 就可以透過 PXE 開啟系統,不過這只是開始後面會介紹到如何自訂驅動程式和自動化程式的執行. 不過在 Windows 下的 RIS 或是 WDS 有一點很討厭就是需要按下 F12 才會讓系統進入 PXE 安裝環境.如何取消呢!! 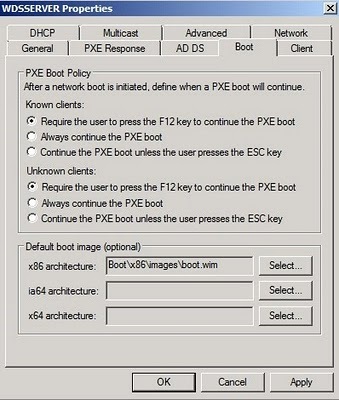 或是透過 “PXE Boot Policy” 修改.